Tablo's new gear includes a DVR app for Android TV, a simple way to stream live TV to connected devices, and a "concept" DVR in the cloud. For the past couple years, Ottawa-based Nuvyyo has offered just one product, the Tablo DVR, which can record free over-the-air broadcasts and stream them to mobile devices, PCs, and streaming boxes. Now, the company is branching out with some new superpowers for the lowly TV antenna. At CES 2017, the company was showing off a DVR app for Android TV boxes, a tuner stick that streams live TV to other devices, and a “proof-of-concept” for storing recordings in the cloud. I checked them all out and extracted as much info as possible from Nuvyyo CEO Grant Hall. Tablo’s upcoming DVR app is supposed to be a simpler alternative to the whole-home DVR hardware that Nuvyyo already offers. Instead of connecting a DVR box to your Wi-Fi network, and then streaming video to other devices around the house, the DVR app runs on one box—in this case, the Nvidia Shield Android TV—that hooks up directly to the television. The antenna connects to the USB tuner, the tuner connects with the Shield, and the Shield connects to your TV. You'll still need an antenna, of course, and you'll also need a dual TV tuner to connect the antenna with the set-top box. (Tablo will sell its own as well as support one made by Hauppauge.) You can then use Tablo’s app to watch live TV, schedule recordings, and watch recordings. This app is separate from the one Tablo already offers for its existing DVR, and in my experience, it’s a cut above, with rich animations and snappy response times. But the software DVR has one big drawback: Unlike Tablo’s hardware DVR, the app can’t stream video to other devices around the house. Theoretically, Nvidia Shield owners could set up their boxes as Plex servers, and access stored recordings through the Plex app on other devices, but I didn’t actually test that out, and Tablo hadn’t considered that possibility. 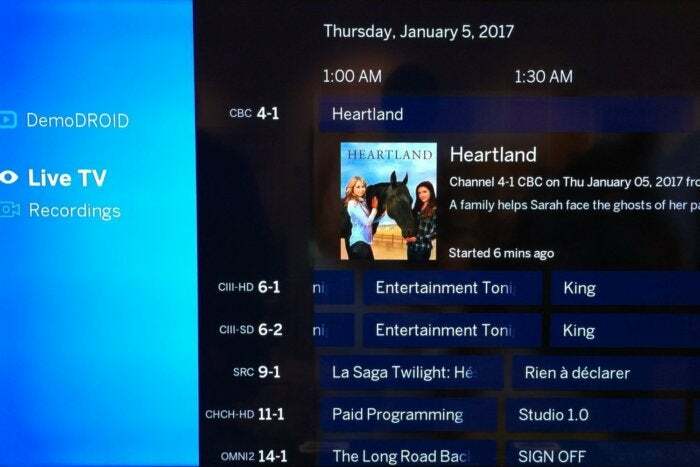 As with Tablo’s DVR hardware, full channel guide and scheduling will require a subscription. It’s a little cheaper than the hardware option at $3.99 per month or $39.99 per year, but there won’t be a lifetime subscription option. Tablo aims to release the app in Q2, along with its own dual TV tuner. 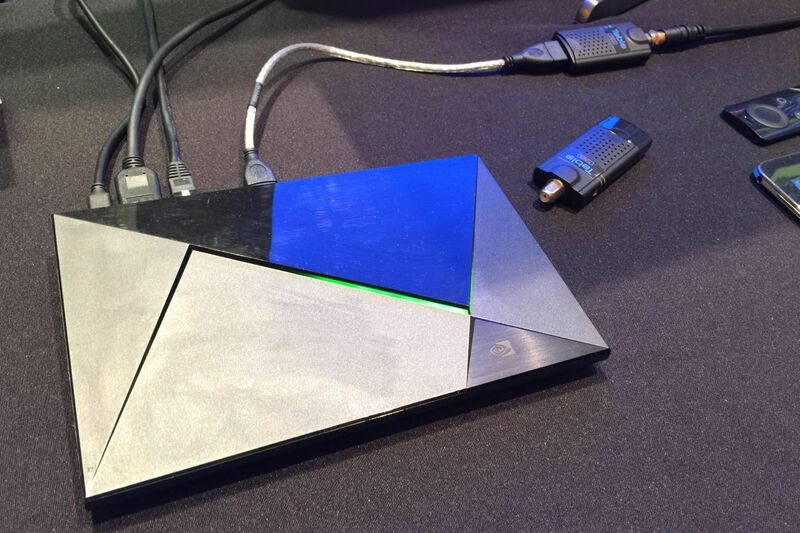 The app will only work on Nvidia Shield at first, but the plan is to expand it to other Android TV boxes such as Xiaomi’s Mi Box in the future. 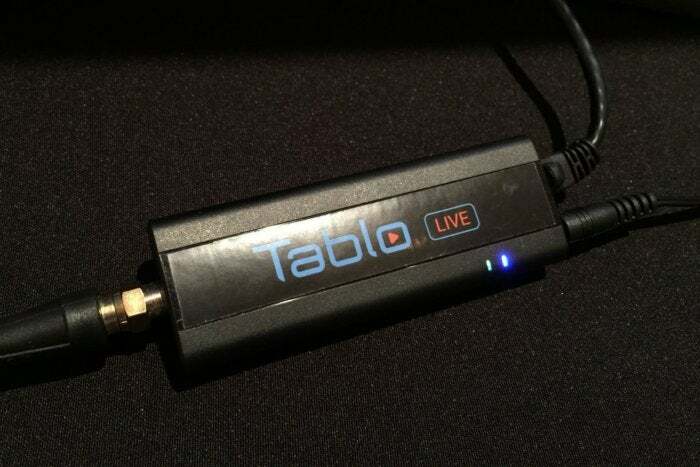 Tablo is also trying to make antenna broadcasts more accessible with a $99 networked tuner, dubbed the Tablo Live. Think of it as a stripped-down version of Tablo’s existing hardware, but with just a single tuner and no local DVR. The idea is that you could install it in a place with ideal antenna reception, and then stream live broadcasts to all your phones, tablets, PCs, and streaming boxes through Tablo’s existing apps. The Tablo Live tuner lets you stream live broadcasts from an antenna to phones, tablets, PCs, and streaming boxes. If you want to add DVR later on, Tablo is working on cloud storage for recordings, and demonstrated a “proof-of-concept” that seemed to work pretty well at CES. The system for scheduling and viewing recordings is exactly the same as Tablo’s existing DVR, except those recordings are stored online instead of on your own hard drive. Although Tablo hasn’t finalized pricing for the DVR service, Hall says the monthly cost will be “around Netflix, maybe a bit more.” The monthly subscription will also include out-of-home streaming of live and recorded TV for Tablo Live users. The Tablo Live tuner will launch in Q2, and Nuvyyo hopes to have the cloud DVR available at the same time. The company is looking at whether to release a dual-tuner version of Live, which would allow watching or recording two channels at once, but with the initial product Nuvyyo wanted to hit that $99 price mark.